Walking the streets of Hong Kong you are bound to see a few restaurants with meat hanging from hooks in the window. There's usually a butcher table nearby that has a guy with a giant meat cleaver slicing the meat into bite sized portions. 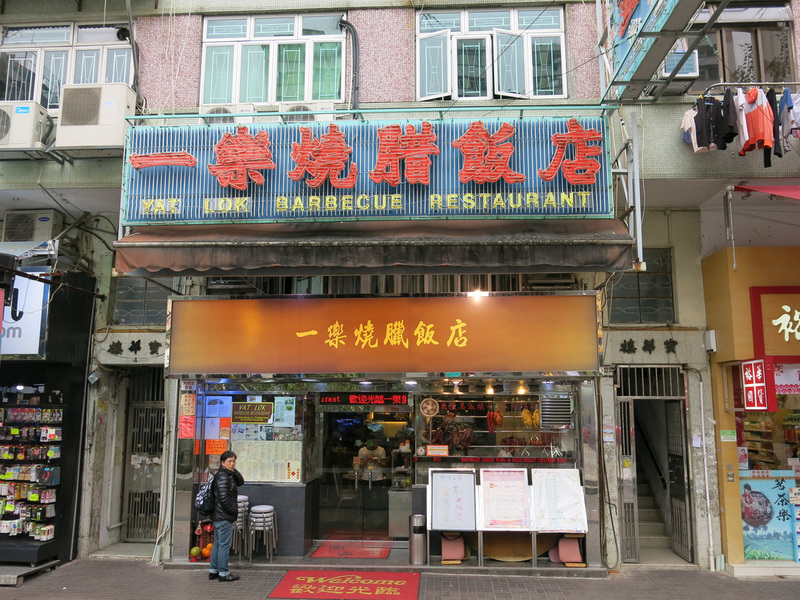 These are Hong Kong's barbecue and roast meat establishments. Meats generally include pork, suckling pig, goose, and duck. If you can't decide a sampler platter of all meats is generally available. 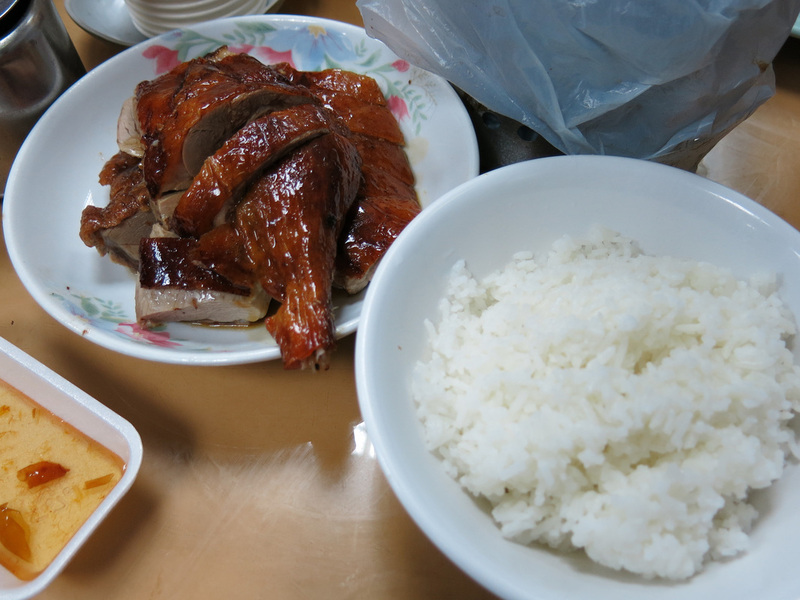 These places usually are very reasonable priced - a pork dish with a side of rice usually will be under $50HKD with the duck and goose costing a little more. It has a long but fast moving line and moves even faster if you are a single diner. 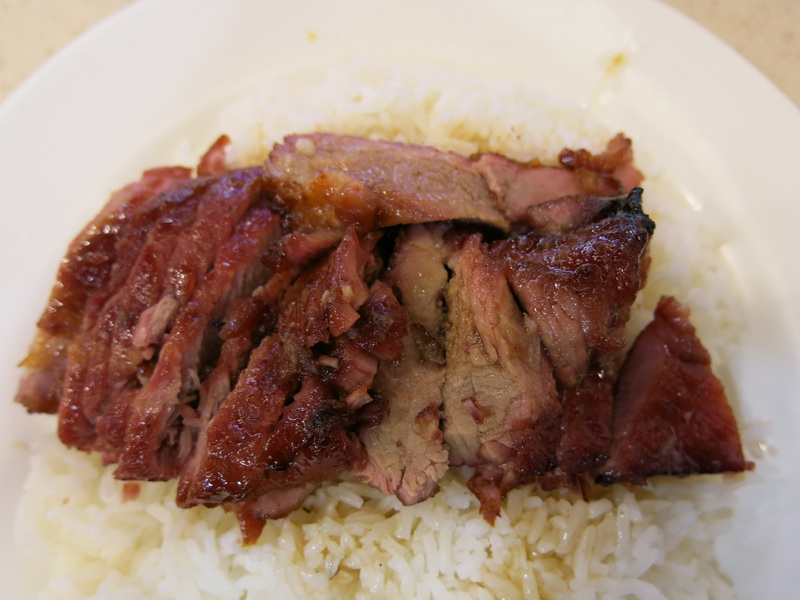 You'll need to decide between duck or pork or if indecisive go half and half. The huge chunks of meat easily separates from the bone. 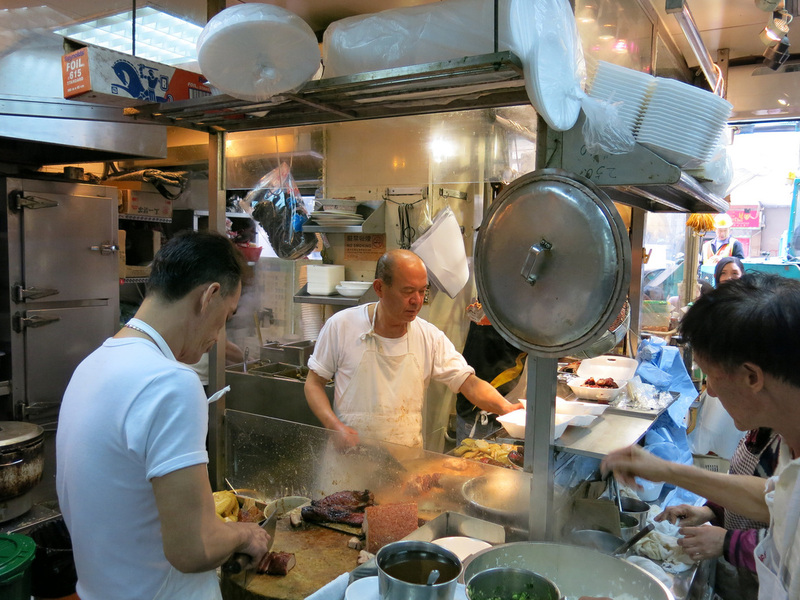 This restaurant is right on the main public square in Tai Po, less than a five minute walk from the Cooked Food Centre. The roast pork and goose rendered Anthony Bourdain speechless. I thought it was decent, a little bit too dry - it's a very slight step down from Joy Hing.